The most important phase of making semiconductors is the coating and thermal process. 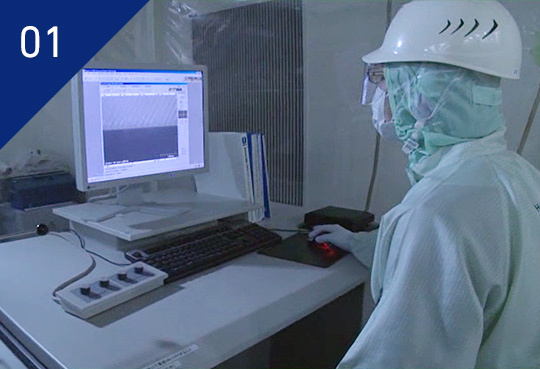 increasing high functionality and high performance of semiconductors. design, procurement, manufacture, and after-sale servicing and maintenance. 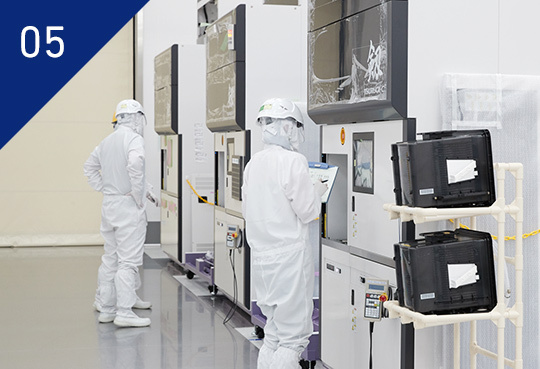 In addition to our underlying technologies, we jointly develop next-generation high-performance semiconductor technologies with research institutions, and develop the coating technology and manufacturing technology to create them. We implement advanced technologies such as 3DCAD-based design and fluid simulations. 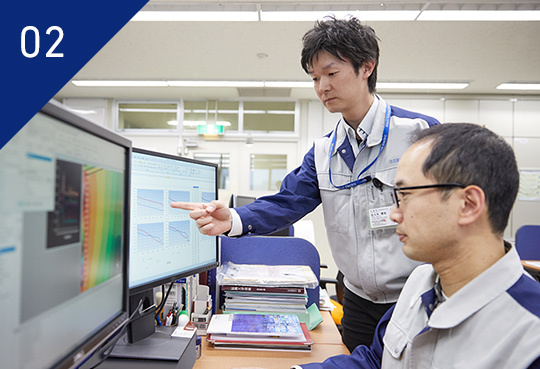 We make the best possible use of our underlying technologies to design equipment tailored to customer needs. The type and number of required parts varies based on equipment model and specifications. 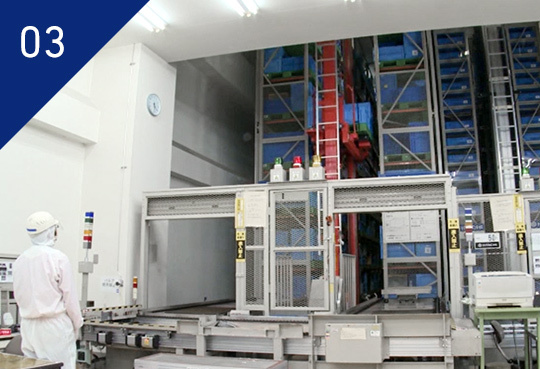 At an automated warehouse we store over 15,000 parts obtained from various local business partners. 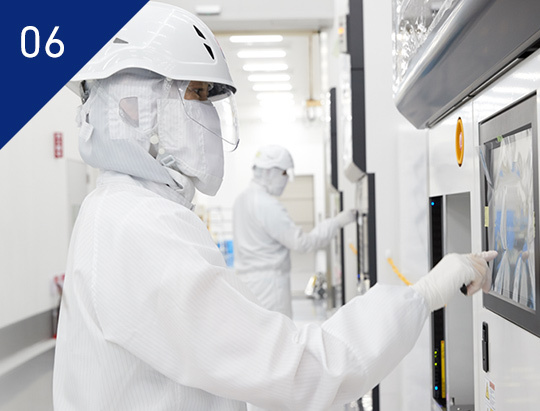 We manufacture a wide variety of products in a cleanliness class 5000 cleanroom. 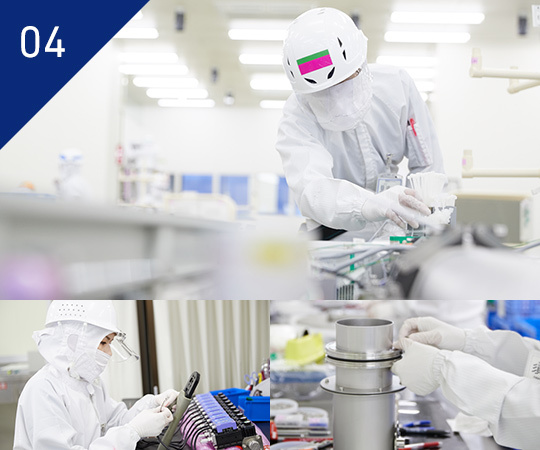 We use the cell station production method for unit assembly to further streamline tasks and increase productivity. Furthermore, in pursuit of an optimized production area we promote a production scheme that roots out waste as well as improved work safety. We conduct strict product inspections and delivery inspections at every phase. Completed equipment is shipped around the world using environmentally-friendly shipping. We visit customer factories, and handle everything from equipment installation to assembly, wiring, testing/tuning, and process launch tasks according to customer deadlines. Roughly 90% of our customers are international customers, mainly in Asia, so we have many employees working overseas.